Connections of Persian Moon are hoping their promising colt can continue his progress in the Tattersalls Acomb Stakes at York on Wednesday. The Mark Johnston-trained son of Makfi has won his last two starts with his latest success coming over this course and distance. “He’s been progressive in his four starts and he won over the course and distance last time,” said Sam Hoskins, racing manager for owners, Kennet Valley Thoroughbreds. “He’s been quite babyish and keeps learning more and more. I think he will keep on improving and he showed a good attitude last time. “It looks quite an open renewal and he should, hopefully, have a decent chance. James Street has done all his racing at six furlongs so far, winning the last two of his three starts, but his trainer Hugo Palmer feels the trip could see him improve further. “He’s one of the more experienced horses in the race. He’s done precious little wrong in his three starts and he seems in really good nick,” said the Newmarket handler. “He needs to improve for stepping up to seven furlongs, but everything he has done so far suggests that he will. 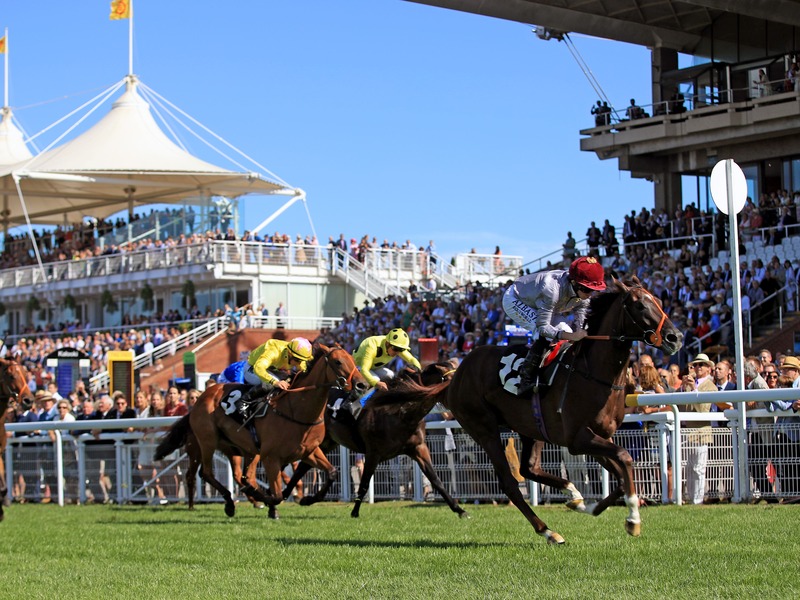 Watan created a big impression when making a winning debut over six furlongs at Glorious Goodwood and his trainer Richard Hannon firmly believes the son of Toronado has a bright future. “I did mention the Morny, but I don’t think he needs to be dropped into that level yet,” said the Herridge handler. “He is still a shell of a horse to expand so we will take it easy with him. “We’ve put him in a lot of nice races at the end of the year. Charlie Hills feels his two runners, Phoenix Of Spain and Pogo, can do themselves justice. “Phoenix Of Spain couldn’t have done it any easier at Wolverhampton, following his very promising debut at Sandown,” the Lambourn trainer told www.charleshills.com. “He’s been going well at home since and if he’s progressed again should have a good chance. “Pogo won well at Newmarket last time, which will have done his confidence the world of good. An intriguing Group Three heat has attracted Aidan O'Brien to run Galway winner Broome, who has several lofty entries, with Karl Burke’s Swissterious and Richard Fahey’s Ventura Ocean making up the eight-strong field.